Inside - Morgyn The Mighty! This great comic started life on the 25th of February 1961 and ran up a mammoth 1675 issues. It was the early sixties and a new revolution was about to begin at D.C.Thompson and Co Ltd.
For decades comics like Adventure and Rover had produced the best in story comics. Now boy's appetite's was wanting for picture strip stories as well, and many was focused on the First and Second World War. 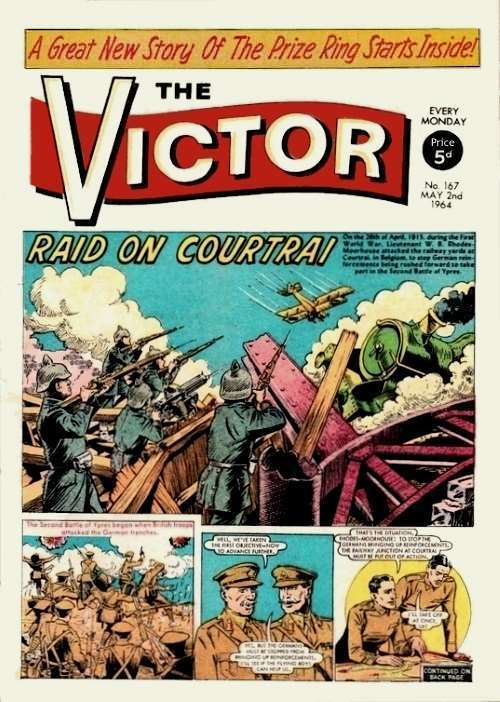 Thus, The Victor comic was launched as the first picture strip comic for boys. Great characters appeared over the years like Braddock V.C. Sergeant Matt Braddock, daring fighter-pilot of the Second World War, was ready to undergo any dangerous mission with his courageous navigator George Bourne. Braddock was always dependable and ready to bend the rules to get what he wants. His ultimate aim - to beat the Germans. One of my favourite Victor characters, and a lot of other people's was, Alf Tupper as The Tough Of The Track. Alf was a character you warmed too. An orphan, a working class man, an underdog, always battling against society, especially the snobby side. Lived on a wonderful diet of fish and chips. Worked too hard, sometimes night and the next day running a race to win for very little money. I used to dream I was Alf winning those races. One of the best comic characters ever. Read more about Alf in my new feature, Comic Characters. Gorgeous Gus, really the Earl of Boote, a football legend with Redburn Rovers. Cadman The Front-Line Coward, a Captain in the British Army during the First World War, always trying to get away from situations, but always landing on his feet, somehow ending a hero. 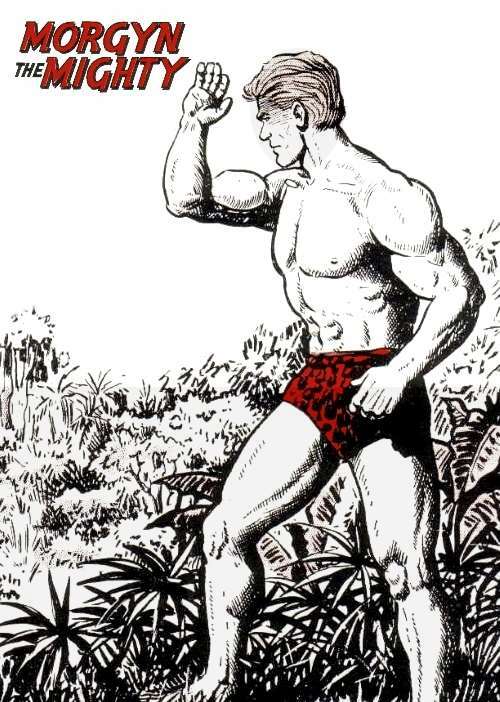 And, Morgyn The Mighty, the strongest man in the world fighting all asunder deep in the African jungle. Six other titles were incorporated into The Victor mainly during the comic decline decade of the 1980's. Included, The Hotspur, Scoop, Buddy and Warlord. In 1991 the format was changed to include more features mainly on football. But it's death came in 1992 after 32 glorious years of a major British comic - sadly missed!